Downtown Halifax hotel, the Westin Nova Scotian, turns off the lights during Earth Hour on March 31, 2012. We proactively plan, monitor and act green daily and we look forward to taking part in Earth Hour to encourage others to take green actions. The Westin Nova Scotian will be turning out the lights at the Halifax hotel during Earth Hour 2012. On Saturday March 31, 2012 from 8:30 to 9:30 PM Atlantic Standard Time, the Westin Nova Scotian will join million of people around the world by turning out the lights and reducing power consumption. Earth Hour was created by World Wildlife Fund to create global environmental awareness for climate change. A record 135 countries and territories joined the global display of climate action in 2011. The downtown Halifax hotel will also share energy-saving measures during Earth Hour this Sunday. 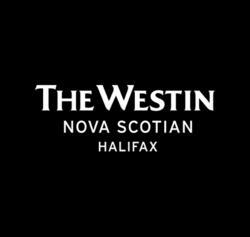 The Westin Nova Scotian will be turning off all outside lighting and common area lighting, with the exception of emergency lighting. In addition to shutting off the lights, the Halifax Hotel will also be turning off one of the guest elevators, one of the staff elevators as well as shutting down all the air conditioners and boilers within the hotel. The Westin Nova Scotian offers the program Make a Green Choice to guests of the Halifax hotel. By Conserving water, energy and other resources, the downtown Halifax hotel is rewarding for guests for their acts of green. Guests can enjoy a $5 voucher at participating hotel food and beverage outlets or 500 Starpoints® awarded at check-out for each night housekeeping is declined. It feels good to conserve. Make A Green Choice. To participate in the Make a Green Choice program at the Halifax hotel, please let the hotel know upon check-in or use the door hanger in the guestrooms. To book Halifax accommodations at the Westin Nova Scotian or to see the impact of making green choices for one night, visit the Westin Nova Scotian online.